This is probably the most excited I have been about creating a gift guide so far. I love nothing more then a personalised gift. Personalised gifts are the one's that take the most time, the biggest effort and are definitely the most meaningful. 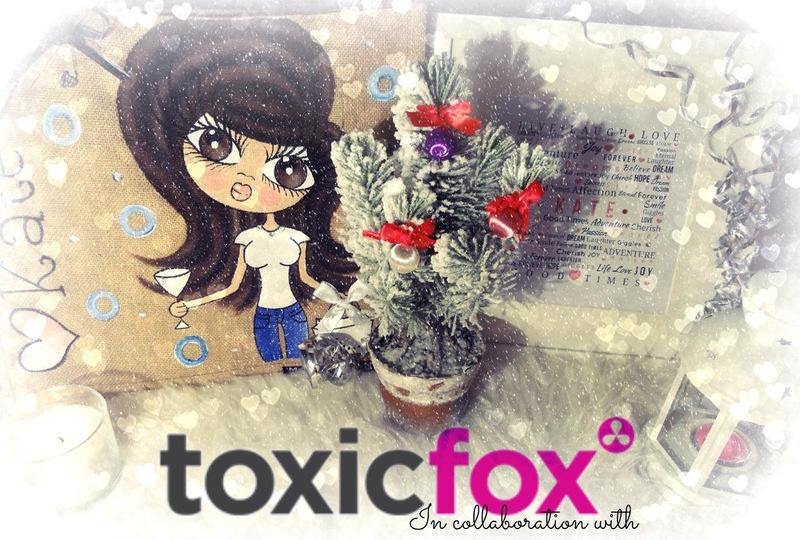 Introducing Toxic Fox the ultimate online gift retailer and royalty of fabulous personalised gifts. When Toxic Fox messaged me about a Christmas gift guide collaboration I was so thrilled, they have a wide selection of great gifts to choose from, there's experience days, alcohol gift sets, cheeky gifts and so much more. Toxic Fox have recently undergone an online makeover which makes it so much easier to navigate from product to product using laptop, tablet or mobile device. Everything's easy to find in sections for Christmas and so on, with Youtube video's available to make finding the perfect gift even more easier. However great the gift is I'm not one for giving PR away for Christmas presents, so when they asked about names and so on I just put my name. I don't treat myself to much so it was nice to be treated. Words can't describe how excited I were to see this beauty mention amongst the items I were being given to review for my Christmas gift Guide. I have wanted a ClaireaBella bag for so long. Like years, I've waited to be treated, it made it to my wishlist on more the one occasion and nobody bought it me. Thankfully Toxic Fox jumped to the rescue and I'm now a very proud owner. 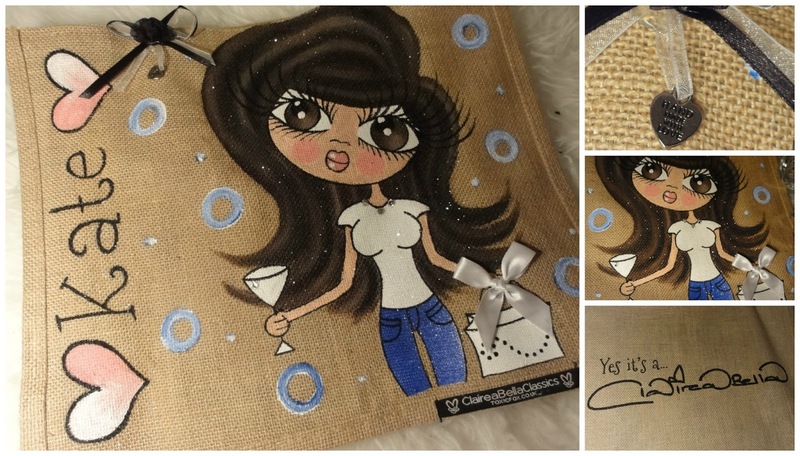 Claireabella have seen their brand grow and grow since they launched with the bags, cups and so much more being sold exclusively at Toxic Fox. They've also been seen widely on hit reality tv show The Only Way is Essex on the arms of Amy Childs and Sam Faiars, as well as model Kelly Brooks and soapstar superstar Michelle Keegan. Each design is customised and personalised to look like you with eyes, hair, skin tone and an assortment of different clothing looks being available, and you can add your name too. The attention to detail is just beautiful with each being hand painted with love. There's plenty of glitter which makes me love it even more. There's a wide selection of bags available in different sizes and even a children's section - definitely getting one for the daughter. Mine is the ClaireaBella Large Jute Bag. For 10% off at Toxic Fox add TFBlog at checkout. This will make the perfect gift for any girly girl. The Typography of Love is just the perfect gift for practically everyone. I got the live laugh love gloss frame and I was so impressed, the quality of the print is outstanding. Each of the Typography frames are personalised with a maximum of ten words of your choice that then goes into the print. I chose a selection of words of encouragement, goals and family members to go into mine. The live laugh love frame is full of encouraging words like hope, believe and dream, it's always nice to have little perk and encouraging influence for the day ahead. There's a huge selection to choose from, a shoe for a teen or a pram which will make the perfect christening gift. There's cushions, canvas bags, canvas print for the wall and even cups - depending on your price range you'll definitely find something from the Typography range. For 10% off at Toxic Fox then add TFBlog at the checkout. Toxic Fox then sent me a few extra gifts that I had know idea about, which was so lovely of them. One I decided not to include because I thought I'd send that to my boyfriend for a little 'cheeky' extra (it's so funny) and he also reads this blog *waves*. The second cheeky extra was the Fifty shades of Grey tie from the official pleasure collection approved by E L James. I decided to keep this for myself because I'm just the biggest fan of the book. I can't wait to see the film. I've already pre-booked the tickets to watch it on the 13th of February with my Mum and Sister. Is it weird I'm going with my Mum? Probably, but we (me and my sister) don't care about that sort of stuff being seen in her presence, though, I'm sure my Mum will be peeping between her fingers at some point throughout. Christian Grey's tie is the ultimate Fifty Shades of Grey merchandise for any lover of the book. Whether you want to wear it, have it kept for merchandise purposes or use it for it's true purpose I'm sure they'll be one happy lady, if they are a fan of the book. Above Toxic Fox can help you purchase the ultimate stocking fillers. 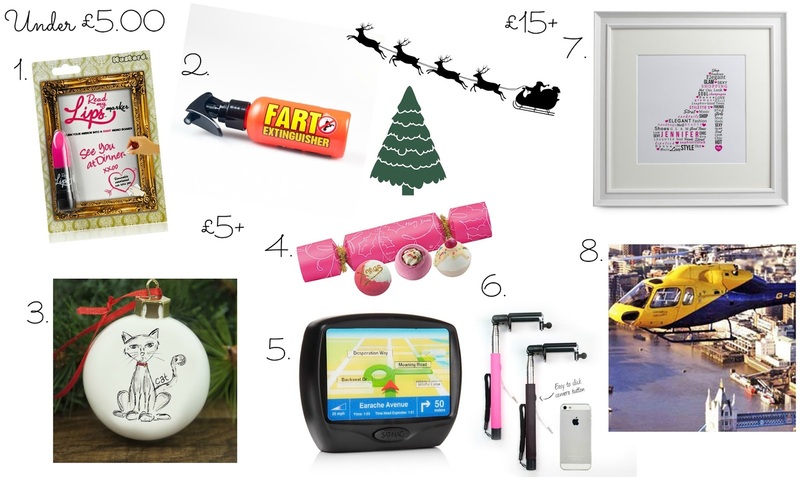 Below I've put together a mini gift guide with some of my favourites. Toxic Fox present the perfect Secret Santa gifts. For more help finding the perfect gift from Toxic Fox check out their various other gift guides on Youtube. Remember you can get 10% off all Toxic Fox purchases at the checkout with code TFBlog. I'm honoured to have collaborated with Toxic Fox. Throughout November and December I've put together a Christmas with Kate series, take a look in the archive to see my other posts. Love this gift guide. The company looks amazing. I soo want that 50 shades mug! I can't wait to start putting together more gift guides. How cute are the personalized gifts, I love them! 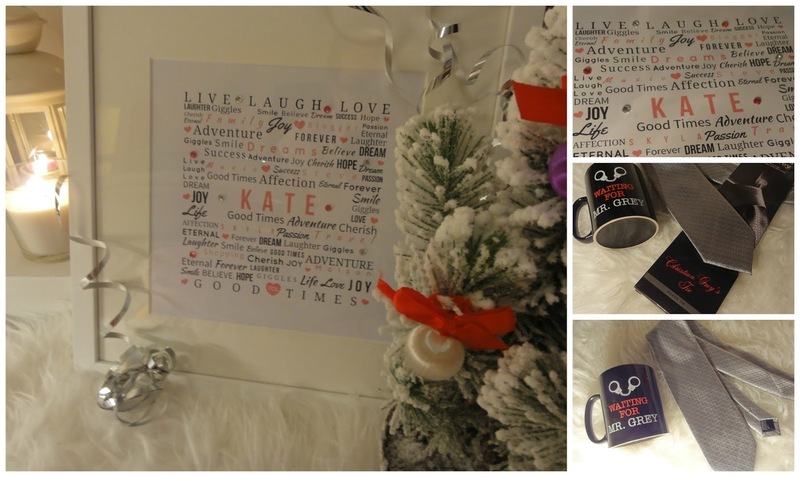 I love the pictures - thanks for sharing this amazing gift guide!